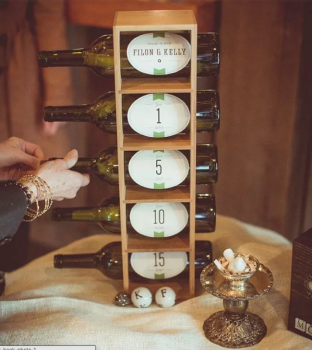 Engagement Season... 3 Things To Do First! Welcome back beautiful brides to be! Not only are the holidays here but so is engagement season! So I am doing my happy dance because it really is the MOST WONDERFUL time of the year! When I do a consultation with a couple my favorite question is "So how did the proposal go down?" and the stories I hear are just simply the sweetest! For instance my couple Aimee + Anthony's proposal was based around The Amazing Race which is Aimee's favorite! Anthony got a hold of some envelopes that look like they were from the show and made a scavenger hunt where the final envelope led Aimee to Laguna Beach and he asked her to be his wife. I mean SERIOUSLY! How adorable is this! Congratulations to all the happy couples who are and have gotten engaged this year! Planning a wedding is so exciting but can also be the most stressful time. So with that said, I encourage you to do three things first! 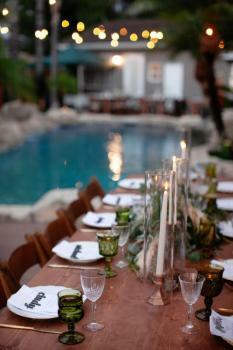 Budget is going to be the MOST important factor when planning your wedding. Sit down with your fiancé and talk about the expenses of a wedding and how you all will manage them. Will you all be paying for your own wedding or will family be chipping in? Once you have an idea of your overall budget make an excel sheet to keep you organized. Look up some national averages of wedding cost so that you can see where your main expenses may be. According to The Knot, the national average cost for a wedding in 2017 is $35,239. In Southern California I see a spike in the fall season every year! This starts in September and ends in November. So if you are looking for a fall wedding for 2018 and still need a venue + date I would start looking now as they book out quickly. Keep in mind that Venues do have rental fees that range from inexpensive to pretty pricey but there are reasons for that. Depending where + when you decide to get married could factor the rental fee. But also if you decide to get married on a Saturday rather than a Friday or Sunday you will also see a increase in price. These are just some factors that may save you some time and money if you were to do them on your own! 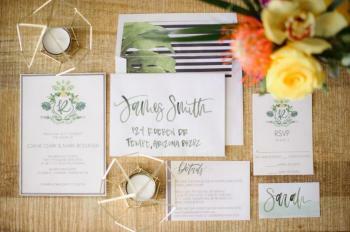 Planning a wedding is stressful + hard + and well truth is you may cry... a couple of times. I know I did when I first started planning my wedding and I do this for a living! When you have a wedding planner, you have someone to keep you organized, someone who is constantly speaking with the vendors about YOUR wedding, and someone who is a friend when you need them most. On an average wedding I spend anywhere from 25 hours +++ on every wedding I do. 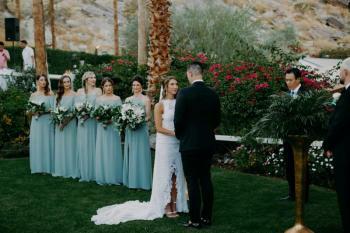 I create a customized wedding timeline for the couple that keeps them on track with making decisions, I research vendors constantly making sure that I find someone that is the best fit for your wedding day and style, I create a wedding day timeline where I speak to each vendor and make sure we are all on the same page. But most importantly I am your fairy godmother on your wedding day making sure everything is running smoothly.